Making smoothies at home is one of the fastest-rising trends in modern kitchens across the nation, because smoothies are easy to make and are easy on the budget, too! If you want to make fabulous smoothies at home, the only equipment that you need to invest in (and only if you don’t already have one), is a food processor, or blender. Food processors are widely available online, and you can make direct comparisons between brands and models by simply placing technical specifications side-by-side with one another. Once you have located a dependable food processor, it’s time to puree those ingredients! 1. It is easier to puree solid ingredients, like fruits and vegetables, if you slice them first. You can slice solid ingredients into thin strips or cubes before they’re added to the food processor. It doesn’t matter if you are using softer fruit, like blueberries or substantially denser ingredients, like avocados. All solid ingredients need to be sliced to small pieces (about an inch across) before use. 2. When do you need to freeze ingredients like strawberries, pineapples, and mangoes? Some recipes call for frozen fruit, if crushed ice will dilute the sweetness of the mix. If, on the other hand, you do not have time to freeze the fruit, you can just use crushed ice and add more fruit to compensate. If you don’t have time to freeze your fruit, and you don’t have crushed ice either, you can just put the smoothie in the freezer for an hour or two before consumption. Chilled smoothies are always better! 3. It is always better if we consume healthy smoothies. It is actually easy to make a smoothie healthier: just avoid refined sugar (use honey instead), and add greens into the mix whenever you can. Adding green, leafy vegetables to smoothies can be your ticket to fewer health problems in the future. Leafy vegetables contain dietary fiber, which is important for the human body because it naturally cleanses the colon and reduces blood cholesterol levels. 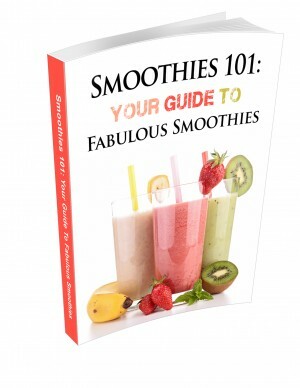 Now that you are more aware of the best practices when making smoothies, it’s time that you made one yourself! One cup of crushed ice. Two teaspoons of organic honey. One half cup of whole milk. One half cup yogurt (vanilla flavor). Slice the bananas and chill for fifteen to twenty minutes in a non-reactive bowl. Combine the crushed ice, bananas, and cinnamon first in the food processor. Follow up with the organic honey, whole milk, and yogurt (vanilla flavor). Puree the mixture for three to four minutes, or until a fine consistency emerges. All of the ice should be blended completely with the other ingredients. Use a spatula to push down any larger ingredients to the bottom, should they float to the top. You may also sprinkle additional cinnamon to decorate the smoothie afterward. Serve and enjoy. 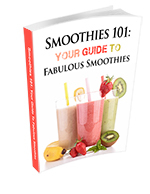 More INFO: The Best Smoothie Recipe, Fruit Smoothie Recipe, Banana Smoothie Recipe, Strawberry Smoothie Recipe, Mango Smoothie Recipe < HERE! Link to this article by using the following URL: http://uniqsource.com/health/smoothie-recipe-information/ COPY + PASTE. Fruit Smoothie Recipe – Drink Fruit!